Originating in New Zealand the name Pukehou is a Maori name and translates to ‘Hill of dedication’ which is named after a hill in the town of Manakau. Legend has that one of the Maori chiefs lept off its steep escarpment to his death and the hill has since become a local landmark and historical site. The variety is a striking new introduction with up to five large, showy ribbon-like bracts appearing on the crown of each purple coloured flower. Flowering commences in late winter and will continue well into the warmer months producing superb spring/summer displays. 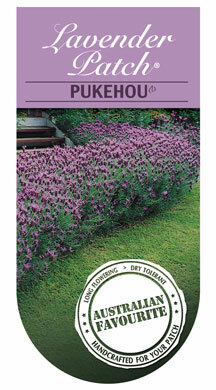 Growth is compact and bushy with aromatic foliage. A particularly stunning variety for use as an ornamental hedge. 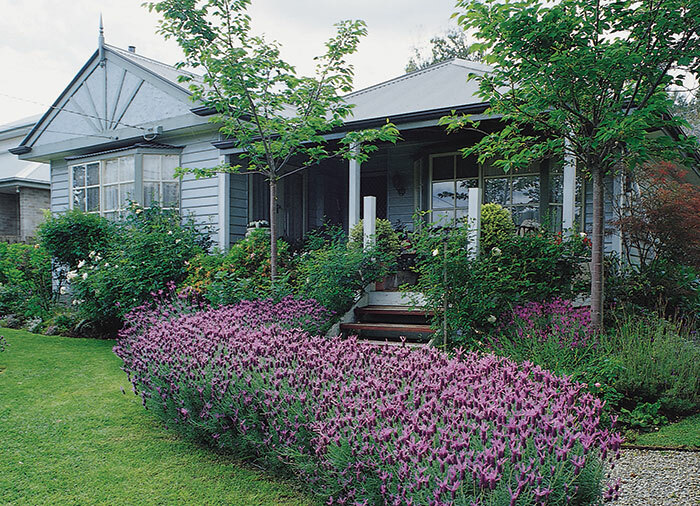 Suited to most garden styles including cottage and Mediterranean. Also an attractive container plant. A light prune after flowering will encourage bushiness and new flower growth for next season. Plant in a full sun location with free draining soil. An application of slow release fertiliser will be of benefit in the early spring and perhaps again after flowering.